A new UK study shows that the fumes emitted by cars may have a devastating impact on honeybees’ ability to find and recognize flowers to use as food. The scientists found that pollutants in diesel destroyed the natural aroma of rapeseed flowers, making their smell so different that bees didn’t even recognize the plants as food. While many are pointing to harsh new pesticides as the cause of honeybee decline around the world, traffic fumes may be one more stressor that is helping to push global bee populations to the brink. In the study, the researchers strapped bees down and fed them a sugar solution laced with floral scents. 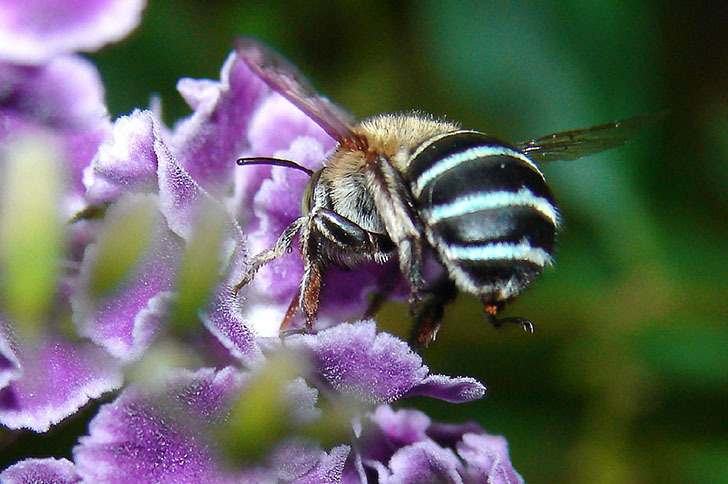 When exposed to the scent of the flowers later, the bees would respond by sticking out their tongues 98-99% of the time, indicating that they knew food was nearby. When the scent was mixed with diesel exhaust at the same levels found near your average roadside, bees only recognized the scent 30 percent of the time. Because bees living near urban areas aren’t recognizing these flowers as food, it’s likely they aren’t bringing home enough pollen to properly feed the workers in their hives. The chemical culprit turns out to be a type of substance called nitrogen oxide, which chemically alters the smell of flowers by degrading key chemicals. This process is incredibly quick, taking less than one minute of exposure. The really bad news? These chemicals aren’t unique to diesel fuel. In fact, the levels are even higher in the exhaust of gas-burning vehicles most people drive. Chalk this up to one more reason why electric and hybrid vehicles are better for the planet. 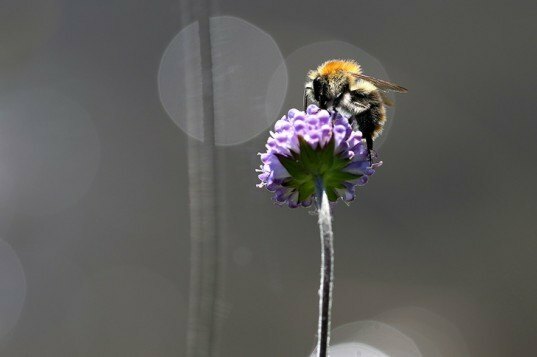 A new UK study shows that the fumes emitted by cars may have a devastating impact on honeybees' ability to find and recognize flowers to use as food. The scientists found that pollutants in diesel destroyed the natural aroma of rapeseed flowers, making their smell so different that bees didn't even recognize the plants as food. While many are pointing to harsh new pesticides as the cause of honeybee decline around the world, traffic fumes may be one more stressor that is helping to push global bee populations to the brink.